The Software Test Use Case (Individual) worksheet is used to keep track of information during software testing. This Software Test Use Case (Individual) is included in editable Word format that can be customized in Word or by using the included Wizard software. IF "this" THEN interaction(s) a,b,c,etc. VARIATIONS IN STEPS AND INTERACTIONS NON FUNCTIONAL REQUIREMENTS. ORDER OF EVENTS SYSTEM ISSUE N/A. 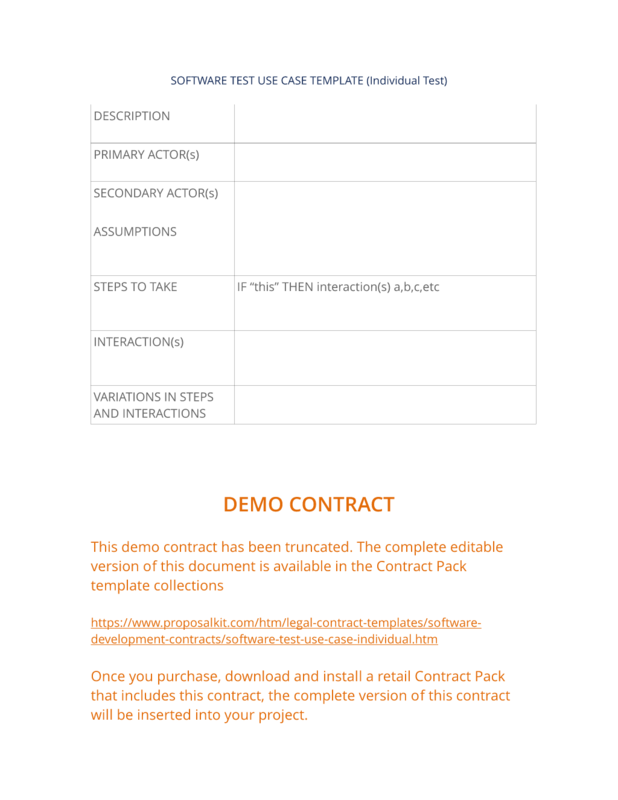 The complete Software Test Use Case (Individual) - with the actual formatting and layout - is available in this Contract Pack.